Grinder teeth are Limited Lifetime Warranty! 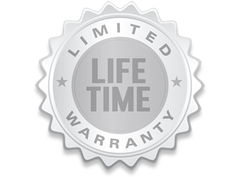 Our Lifetime warranty is only applicable for the Teeth of HerbSaver™ Grinder to never break. Does not cover if dropped or damaged from outside of grinder, or any other user generated damages. Please include photo of defected grinder teeth and proof of purchase. For dry herb use only! Not used for grinding of any other materials. Limited edition colored grinders are not guaranteed under warranty! © 2019 HS Containers LLC.